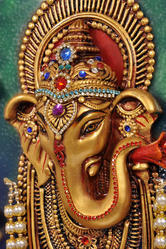 Our product range includes a wide range of trangular mural ganesh, narsinha ganesh, small oblam ganesh, abhishek ganesh, pooja ganesh mural and small fan ganesh. 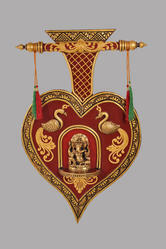 Wall Hanging Hand Crafted Triangular Ganesh Mural in Ceramic Crush Material With Wooden Base, Fine Hand Crafted Art Work, Washable Material , Pure Brass Bells With Natural Deco Paint Finish. 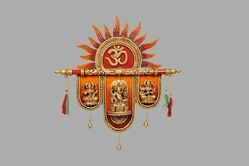 Use= A Common Symbol of Hindu Mythology, Symbol of Prosperity too & It can be mounted on wall. With Natural Deco Paint finish. 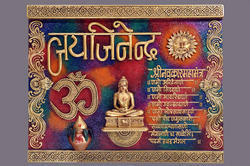 Use:High End Exclusive Decorative Panel Which Can be use to Welcome. 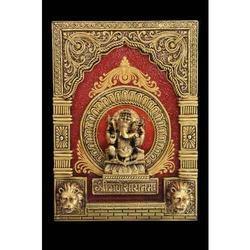 Wall Hanging Hand Crafted Oblong Ganesh Mural in Ceramic Crush Material With Wooden Base, Fine Hand Crafted Art Work, Washable Material , With Natural Deco Paint finish. 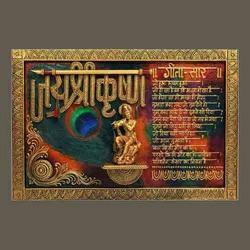 Use = A decorative Panel with vastu elements as well as good fortune. Purpose:It can be Use personally & can be Gifted also. 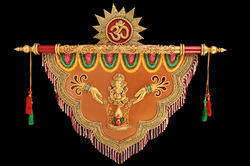 Wall Hanging Hand CraftedMedium Fan Ganesh in Ceramic Crush Material With Wooden Base, Fine Hand Crafted Art Work, Washable Material with Natural Deco Paint finish. Use = A Hand Crafted Decorative Panel, which can be hanged on wall. Washable Material with Natural Deco Paint finish. 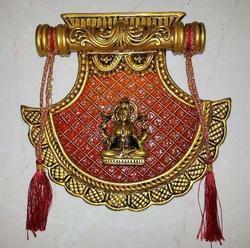 Use : A Hand Crafted Decorative Panel, which can be hanged on wall. Ganesh Mural with Peacock & Leaf Design. 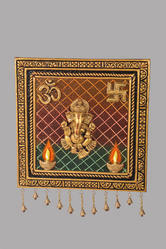 Use: A Decorative Panel with Exclusive Design Variation Which Can be Hanged on wall. 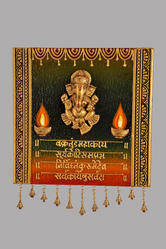 Wall Hanging Hand Crafted Big Leaf Ganesh Mural in Design in Ceramic Crush Material with Wooden Base, Fine Hand Crafted Artwork, Washable Material with Natural Deco Paint finish. Use :A Natural Symbol of Welcome which can be Hanged on wall. 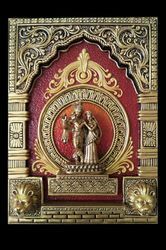 Wall Hanging Hand Crafted Square Jay Shree Krishna Mural in Ceramic Crush Material With Wooden Base, Fine Hand Crafted Art Work, Washable Material , With Natural Deco Paint Finish. Pure Brass Bells With Natural Deco Paint finish. Use:A Welcome Design Element with Various Design variations. 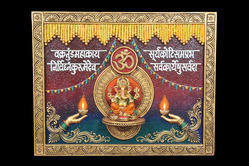 Wall Hanging Hand Crafted Square Ganesh Mantra Mural in Ceramic Crush Material With Wooden Base, Fine Hand Crafted Art Work, Washable Material , Pure Brass Bells With Natural Duco Paint finish. 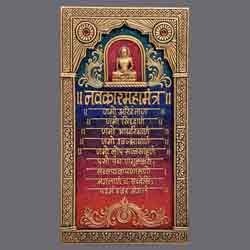 Use: A decorative Panel with vastu element use for good fortune. 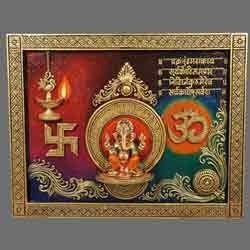 Wall Hanging Hand Crafted Square Ganesh Symbol Mural in Ceramic Crush Material With Wooden Base, Fine Hand Crafted Art Work, Washable Material , Pure Brass Bells With Natural Duco Paint finish. 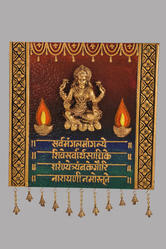 Wall Hanging Hand Crafted Square Laxmi Mantra Mural in Ceramic Crush Material With Wooden Base, Fine Hand Crafted Art Work, Washable Material , Pure Brass Bells With Natural Deco Paint finish. 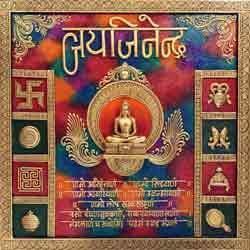 Use : It is Commonly & Widely Use Mantra for the Prosperity as well as well-being of an Individual. Purpose: It can be Use personally & can be Gifted also. 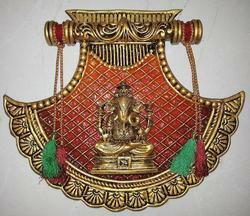 Wall Hanging Hand Crafted Round Arch Ganesh Mural in Ceramic Crush Material With Wooden Base, Fine Hand Crafted Art Work, Washable Material , Pure Brass Bells With Natural Deco Paint finish. Use: A Natural Decorative Panel as well as an Welcome Element, which can be Hanged on wall. 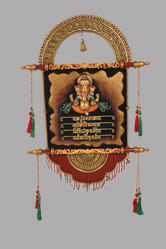 Wall Hanging Hand Crafted Ganesh, Laxmi & Saraswati Mural in Ceramic Crush Material With Wooden Base, Fine Hand Crafted Art Work, Washable Material , Pure Brass Bells With Natural Deco Paint finish. 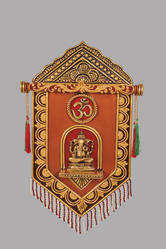 Use:It is a Natural Symbol of Vastu Which is use Worldwide & Can only be Place or Mounted on the east wall. PurposeP: It can be Use personally & can be Gifted also. 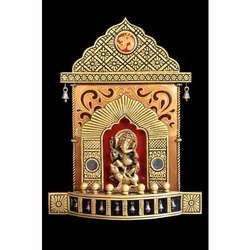 Wall Hanging Hand Crafted Diva Ganesh Mural in Ceramic Crush Material With Wooden Base, Fine Hand Crafted Art Work Washable Material , Pure Brass Bells With Natural Deco Paint finish. 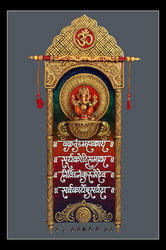 Use : A Natural Decorative Panel with Ganesh Mantra Crafted, Which Can be use to Welcome. 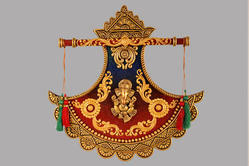 Wall Hanging Hand Crafted Two Triangle Mural Ganes in Ceramic Crush Material With Wooden Base, Fine Hand Crafted Art Work, Washable Material , Pure Brass Bells With Natural Deco Paint finish. 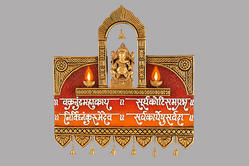 Wall Hanging Hand Crafted rBig New Ganesh MantraMural in Ceramic Crush Material With Wooden Base, Fine Hand Crafted Art Work, Washable Material , Pure Brass Bells With Natural Duco Paint Finish. 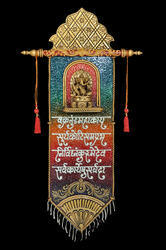 Wall Hanging Hand Crafted Ganesh Mantra Mural in Ceramic Crush Material With Wooden Base, Fine Hand Crafted Art Work, Washable Material , Pure Brass Bells With Natural Deco Paint finish. 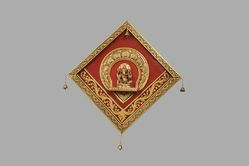 Wall Hanging Hand Crafted Small New Ganesh Mantra Mural in Ceramic Crush Material With Wooden Base, Fine Hand Crafted Art Work, Washable Material , With Natural Deco Paint finish. Narsinha Radha Krishana Mural Rectangular. Narsinha Sai Baba Mural Rectangular. 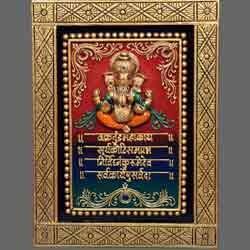 Use : High End Exclusive Decorative Panel Which Can be use to Welcome. 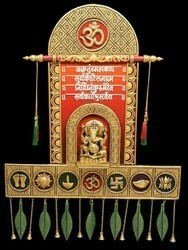 Wall Hanging Hand Crafted Ganesh Mantra Leaves Mural in Ceramic Crush Material With Wooden Base, Fine Hand Crafted Art Work Washable Material , Pure Brass Bells With Natural Deco Paint finish. 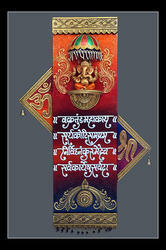 Use = A Natural Decorative Panel with Ganesh Mantra Crafted, Which Can be use to Welcome. Round Arch Ganesh Face Mural. Use :A Natural Decorative Panel as well as an Welcome Element, which can be Hanged on wall. 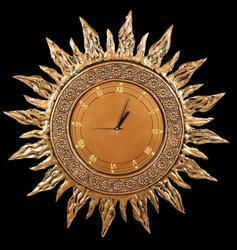 Wall Hanging Hand Crafted Surya face Mural in Ceramic Crush Material With Wooden Base, Fine Hand Crafted Art Work, Washable Material, With Natural Deco Paint finish. 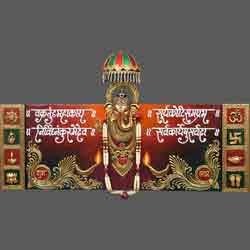 Wall Hanging Hand Crafted Ashirwad Ganesh Mantra Mural in Ceramic Crush Material With Wooden Base, Fine Hand Crafted Art Work, Washable Material , With Natural Duco Paint finish. Use : A Symbol of Good Fortunes with Spiritual blessing. 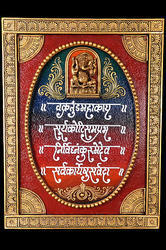 Wall Hanging Hand Crafted Maha Ganesh Mantra Mural in Ceramic Crush Material With Wooden Base, Fine Hand Crafted Art Work, Washable Material , With Natural Duco Paint Finish. 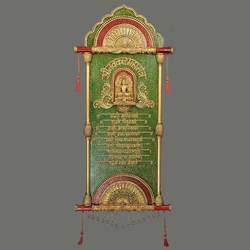 Wall Hanging Hand Crafted Small Navkar Mantra Mural in Ceramic Crush Material With Wooden Base, Fine Hand Crafted Art Work Washable Material , With Natural Deco Paint finish. 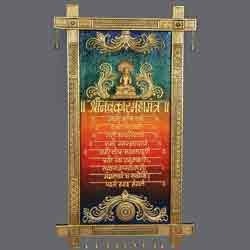 Wall Hanging Hand Crafted Medium Navkar Mantra Mural in Ceramic Crush Material With Wooden Base, Fine Hand Crafted Art Work, Washable Material , With Natural Deco Paint finish. Use : A Natural Decorative Panel as well as an Welcome Element, which can be Hanged on wall. 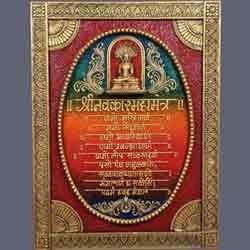 Wall Hanging Hand Crafted Oval Navakar Mantra Mural in Ceramic Crush Material With Wooden Base, Fine Hand Crafted Art Work, Washable Material , With Natural Duco Paint finish. 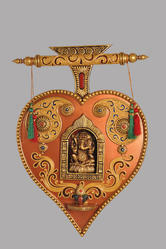 Wall Hanging Hand Crafted Chatri Ashiwad Ganesh Face Mural in Ceramic Crush Material With Wooden Base, Fine Hand Crafted Art Work, Washable Material , With Natural Duco Paint finish. 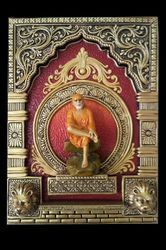 Wall Hanging Hand Crafted Jay JInendra Astmangal Mural in Ceramic Crush Material With Wooden Base, Fine Hand Crafted Art Work, Washable Material , With Natural Deco Paint finish. 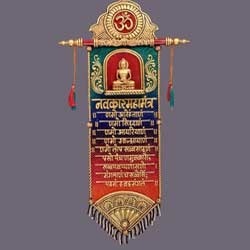 Use :Symbol of Good Fortunes with Spiritual blessing.